I'm always emailing myself notes and links so that I can either remember to do stuff or to check something out later. Swipy makes doing that REALLY easy. 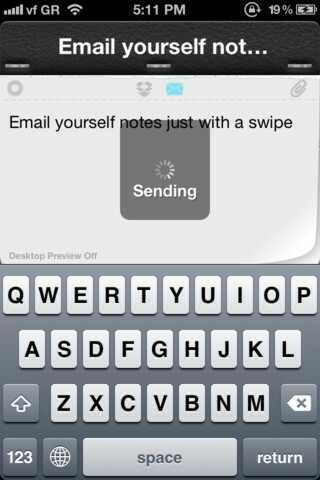 All you do is type in your note and swipe the screen. 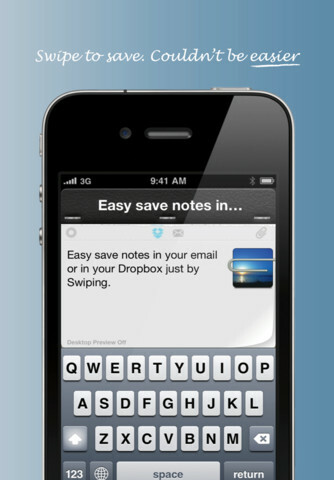 That's it, Swipy will immediately deliver your note to your email or to your Dropbox. 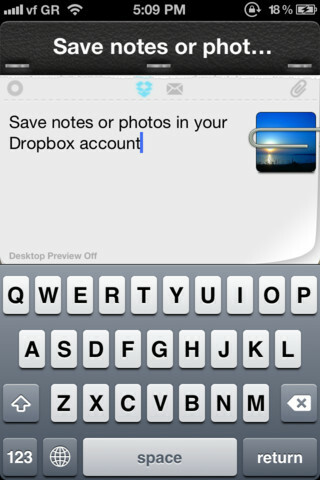 All you need to do is allow Swipy in your Dropbox (1 click if you have the Dropbox app on your device already) and/or connect your Gmail account, and you're up and running. Swipy is really fast and convenient. It would be ideal to have it accessible at least from the Notification Center so that you could just swipe to also launch the app, but unfortunately, that's not how Apple rolls. Swipy is $0.99 for the iPhone app, and they have a separate version for the iPad which is actually free for a limited time.